Do you want to visually brand your Facebook Stories and profile photos to promote your business, and let your fans and customers in on it, too? 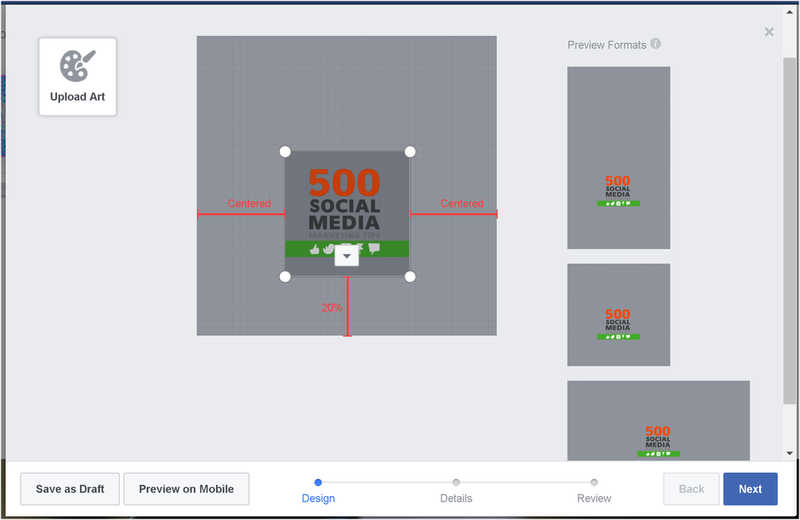 With the Facebook Camera Effects platform and its Frame Studio feature, you can design a custom frame that overlays your Facebook content - videos, photos, and profile photos. Frames are a creative way for people to have fun and show their support for you and your business. Next, click Upload art or drag and drop one or more .PNG file into the template. Use the handles to change the size and drag the images around into position. Use an image editor like Photoshop or Canva to create the elements of your frame. Each element must have a transparent background. Keep it simple. Remember, people will most likely be viewing your frame on a mobile display so intricate designs won't translate as well. Position your art around the edges to frame the photograph - a frame should compliment a profile photo or Facebook camera photo, not dominate or obscure it. The examples above show the kind of effect that you can achieve, and how placement is crucial. As you'll notice from my own example from now on, its size and placement could have been improved! Click Settings in the top right of your Facebook Page. From General, click Page Location for Frames. Click next to Page Location for Frames to manage who can create frames at your business' location. On the next page, you'll get one last chance to look over your Frame before you publish it. Once you hit Publish you'll have the chance to share it to the followers on your Page immediately if you wish. You will now also be granted access to a hub to manage your Frames; to toggle them on and off, duplicate,preview on mobile, etc. From here, you'll be able to choose an existing frame or upload a new one. You should also be able to manage your frames from the Publishing Tools section of your Facebook Page, but this was not yet available when I tried. And here's how adding the frames look in practice via Facebook Stories. 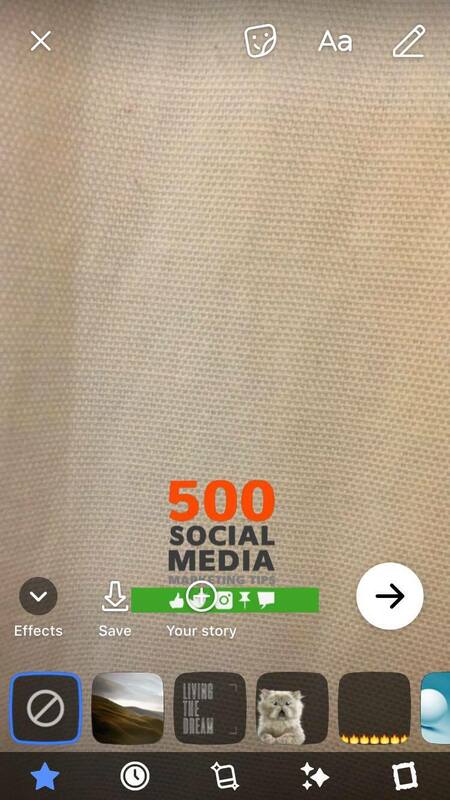 When a user opens Facebook Stories after receiving a notificiation, they can tap the magic wand and select your frame. If a user is adding a frame to their profile photo on mobile, they'll receive a notification too. Which is why naming and listing your frame with keywords is so important. Will you be using Facebook Frames as a way to promote your business and encourage fans to do the same? Let me know your thoughts - and share your results - in the comments below!